Want to select a syrup or sauce? See the 512SA selection. Selected as a gift I knew it would be well recieved. My brother sent a picture of his Colorado honey, ricotta, zuchini, tomato, basil flatbreads, but I have no way to attach it. Lovely gift for any occasion. My husband was very excited to receive chokecherry jelly and honey caramel for Valentines Day. It's always been is absolute favorite. 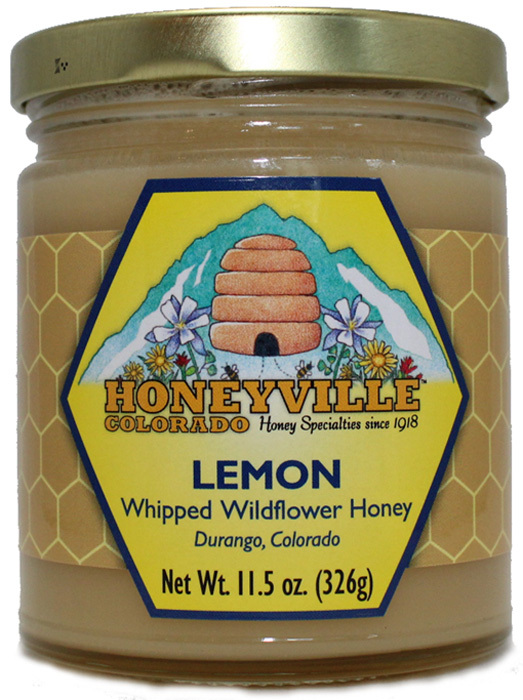 Honeyville always provides amazing quality products. We highly recommend everything! Since visiting your store in 2016 and purchasing some of the whipped honey and some jams, we have been ordering from you online. We are excited to have received the shipment in just a few days as we were running low on products we ordered. We especially love the Mountain Peach Whipped Honey and the Stone Fruit Jam. 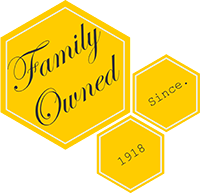 Having your honey in our home keeps us intouch with our Colorado experiences and trips to your beautiful state. We look for to returning and visiting your store again. We would highly recommend your honey to anyone and in fact we have started giving your honey as Christmas gifts to family and friends. Love your honey. My mother in law is hard to buy for because she has everything, but she loves a nice cup of tea in the mornings and absolutely loves the honey to flavor it. It's the perfect gift for her! Great gift idea that gives you the flexibility to customize your orders. 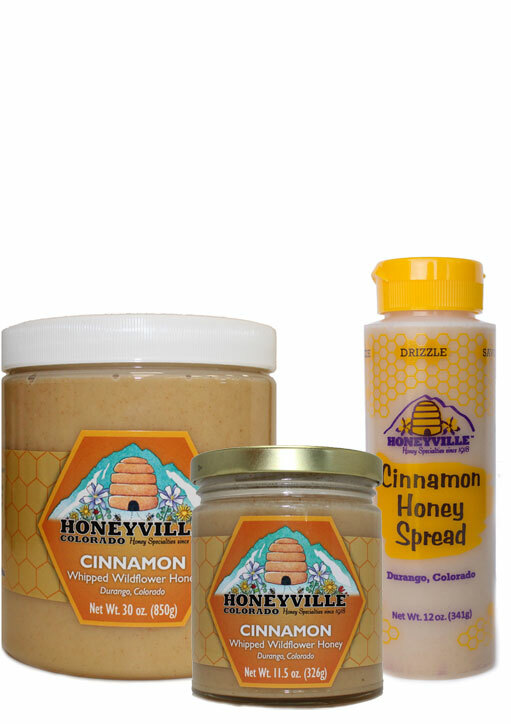 My family loves Honeyville products. The gift box is awesome and we are hooked for more! We received our gift box and are still pleasantly surprised by the assortment. Apple butter is our favorite. Chokecherry, pomegranate, blackberry jam are ALL amazing. 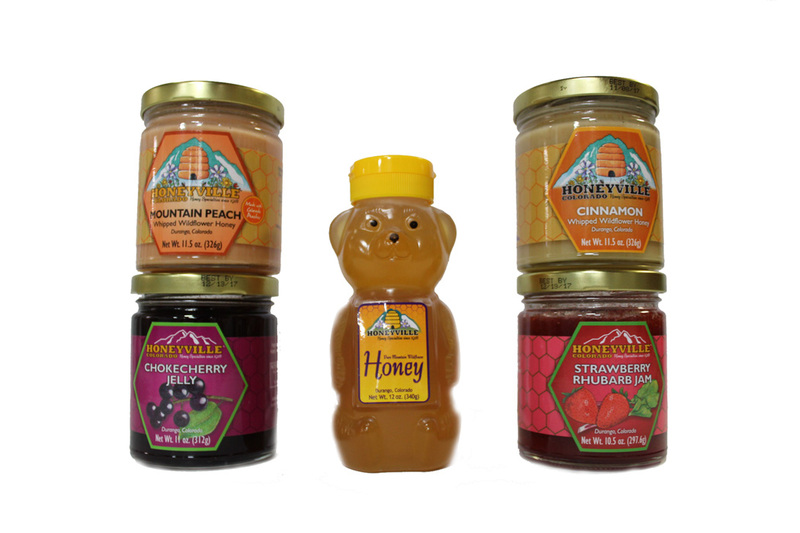 We are very interested in finding additional honey and jam flavors from Honeyville to fit every meal plan for years to come! 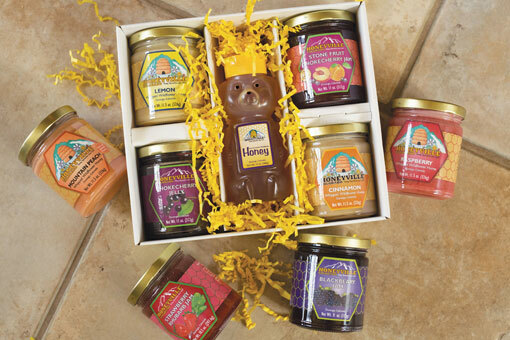 Since I am already a big fan of Honeyville products, I bought this gift box as a holiday present for my sister. Since called me and let me know that she and her family LOVE the products in the package. Brownie points for the "Little Brother".